for a Jumbo Reverse Mortgages. However, the landscape changed in 2016 when another investor launched it’s own proprietary Jumbo Reverse Mortgage program. This new jumbo reverse mortgage was almost the same as the other one that was already available and both had limitations. Now, in 2017, one of these two investors/lenders dramatically changed the jumbo reverse mortgage landscape. On the original program, they lowered the interest rate. Also, they created 3 new options that now allow older homeowners with higher end homes to access a slightly larger portion of their equity. The FHA insured HECM is still the most widely used reverse mortgage program, but it’s great to see the market opening up so that more homeowners can take advantage of the reverse mortgage program. Hopefully, we’ll see more lenders follow suit. 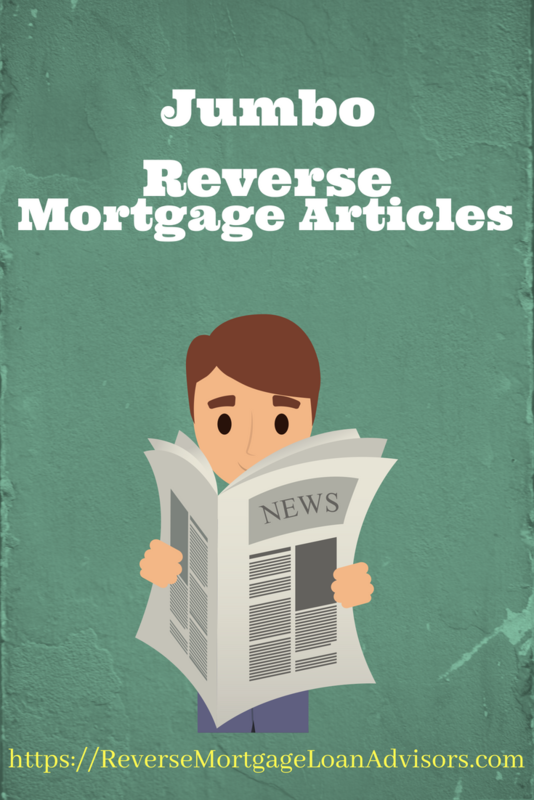 What Is A Jumbo Reverse Mortgage?